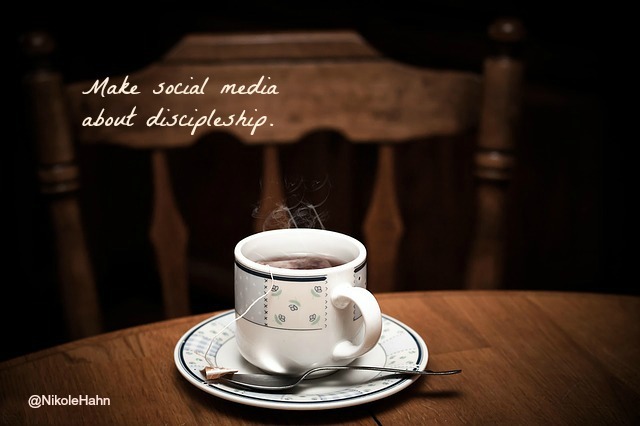 When using social media, as not just a tool for business, but as a tool to disciple and spread the Gospel, you need to listen to her advice. Look at her suggestions here. As a writer, you are taught to know your audience. This advice is applicable in life, planting churches, mission work, etc. Knowing your audience as a believer means following, mentoring, and praying for them. Shape your audience with the truth from a place of compassion. You can’t share the truth with them unless they let you in their community. Have YOU ever listened to unsolicited advice? Your blog or social media is an extension of your livingroom. Make it a great visit so they return.